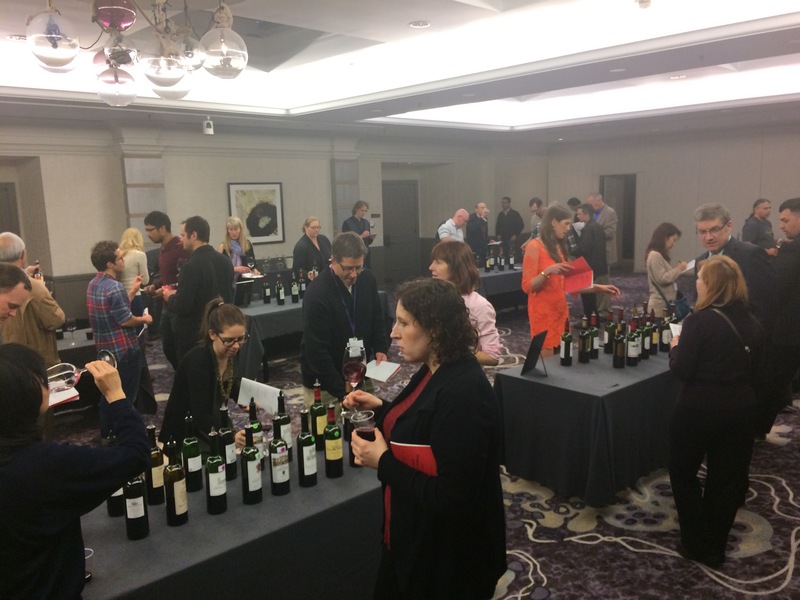 This past week, at the culmination of the Master of Wine seminar, the Institute of the Masters of Wine held their annual Bordeaux tasting. This year focused on the 2011 vintage. After the spectacular back to back successes of 2009 and 2010, 2011 brought a challenging year but also a year where the individual communes could show their classic styles. The spring started off a bit on the early side and rapidly warmed up to the second warmest April on record. May followed suit and also was quite dry causing an early flowering. Drought conditions early in the year can cause difficulties later in the season if enough water is not available to the vine during the time just after flowering. This period of the year is called the “cell division and expansion phase” and allows the vine to set the number of cells that will make up the grape later in the season. If not enough water is available during this phase the berries can remain quite small which, if water becomes available later in the season can cause splitting and exacerbate rot. Drought conditions during this phase can also affect shoot growth and leaf development which may result in the vine being out of balance. June of 2011 in Bordeaux was equally problematic due to a severe heat spike which resulted in early sunburn on many vineyards. Sunburn damages the cells of the grape skins and results in reduced color and flavor formation. Late season sunburn can also result in cooked flavors however this was not the case since July rapidly cooled and the rains returned leading some estates to worry about rot. Additional large rainstorms in September caused many estates to pick earlier than usual further exacerbating an already difficult year. As always, those producers willing to make the rigorous cuts in fruit selection were able to make good wines. Here are my impressions from the various regions. Still quite a ripe style of wines over the producers I tasted. Not as intense as 2009 or 2010 however some black fruit is evident, more so than most of the other communes. The tannins were characteristically gravelly over all and the mid palate was missing some of the generosity of the previous two vintages. Overall a classic representation of the area. St. Emillion was showing its very structured, slightly blocky tannins and quite a bit more cassis and dry herb notes than the past two years, clearly reflecting the cool season post veraison. For my tastes, I definitely preferred its neighbor Pomerol for the 2011 vintage. 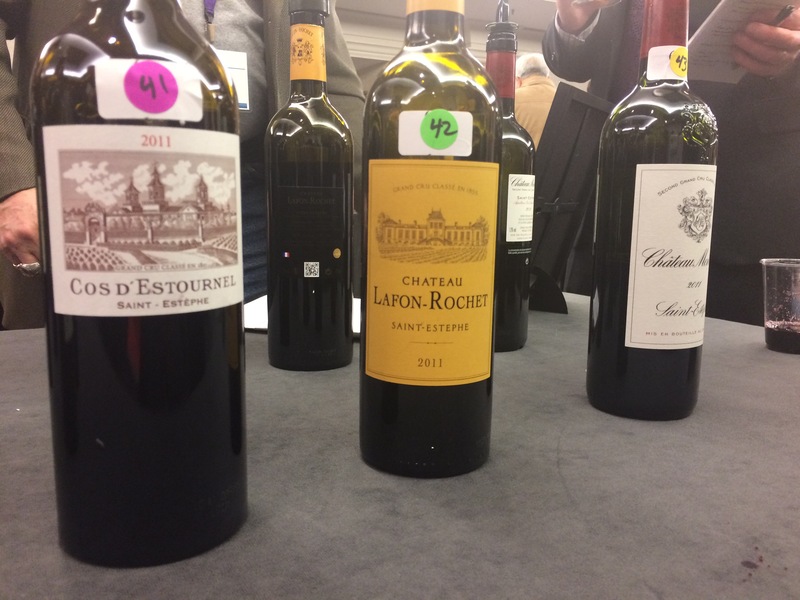 Pomerol still showed the lush mid-palate weight that it is known for relative to St. Emillion however 2011 was a more classic vintage for the region than the previous two. The minerality of the old world is back and was something I had found missing in the uber ripe previous two vintages. The texture of tannin was chunky and the Merlot dominant blends were clearly apparent when compared to the more fine grained tannins of the Left bank. Granitic minerality with focused cassis and dry herb characters but only modest mid-palate weight and structure. Quite lean mid palate and high, fine grained tannins. Lots of cassis but some black cherry and wet granite as well. These definitely need time to soften. This commune was my favorite for the vintage. The elegance of the styles complemented the classic beauty of this vintage and the wines showed very well integrated oak balanced with beautifully textured, fine grained tannins. These wines stood out as having the most affinity for the cool end of the season and the lovely texture of the wines reflected winemaking that embraced the vintage rather than working against it. The most surprising of the communes I tasted since there seemed to have been little regard for what 100% new oak would taste like over the natural flavors of such a classic and restrained vintage. In many of the producers I tasted, the oak was dominant and overpowered the more delicate fruit. Maybe with time, this will integrate further however I am not convinced it will resolve. A lovely showing for Margaux. Although the perfume of the commune was not as apparent in this vintage, the tannins were powerful and refined with a velvety texture which complemented the highly concentrated mid-palate. Of all the communes, Margaux seemed to have retained the most concentration on the palate and the ripest fruit profile showing blueberries and black cherries. The elegant style and mineral notes still clearly said old world however, which is a welcome change from the riper styles of the previous two vintages. These wines are evolving beautifully and should show classic complexity in the years to come. Of course, much of the wines that were tasted are classed growths with the means to handle a challenging vintage and come out on the other side with a classically elegant wine. This means that the widespread deliciousness of the 2009 and 2010 vintages will be restricted to those estates with the means to be very selective and I would choose from the non-classed wineries very selectively. It’s a good year to know the history of the producers. If they were able to make a good or great wine in 2007, it is likely that they would be able to repeat the performance from the 2011 vintage.